24-hour forecast: Sunny with cloudy spells today and partly cloudy skies tonight. Showers or thunderstorms will be isolated. General Outlook: For Friday and Friday night is for only isolated showers to develop. Tonight E 10-20 kts Moderate-Rough 5-7 ft ISOLATED SHOWERS AND ISOLATED THUNDERSTORMS SOUTH. Tomorrow E 10-20 kts Moderate 4-6 ft ISOLATED SHOWERS AND ISOLATED THUNDERSTORMS SOUTH. Tomorrow Night E 10-20 kts Moderate 4-6 ft ONLY ISOLATED SHOWERS. Moderate to fresh winds are noted across the west Caribbean, mainly east of the tropical wave from 11N to 18N between 68W and 82W. These winds will diminish from the north, but continue across the southwest Caribbean this week. Nocturnal winds will pulse to fresh to strong through tonight in the Gulf of Honduras. 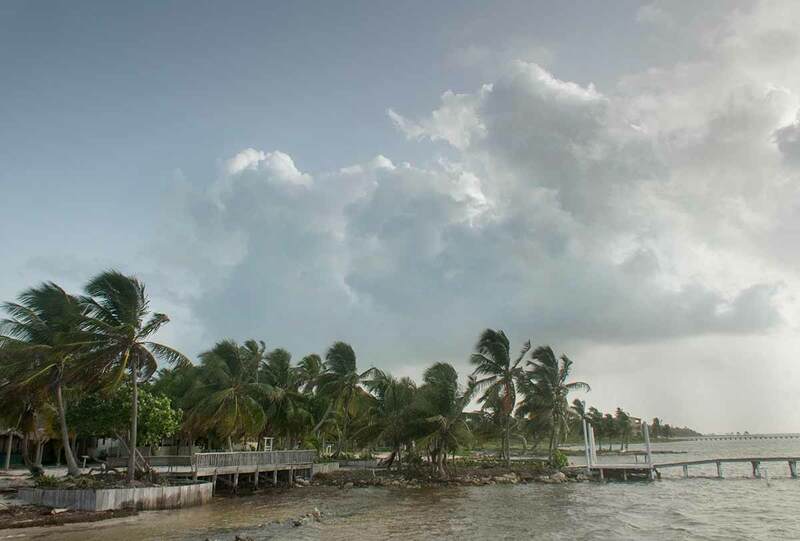 On Ambergris Caye this morning the wind is from the East at 10 mph making the sea state around our barrier reef moderate. 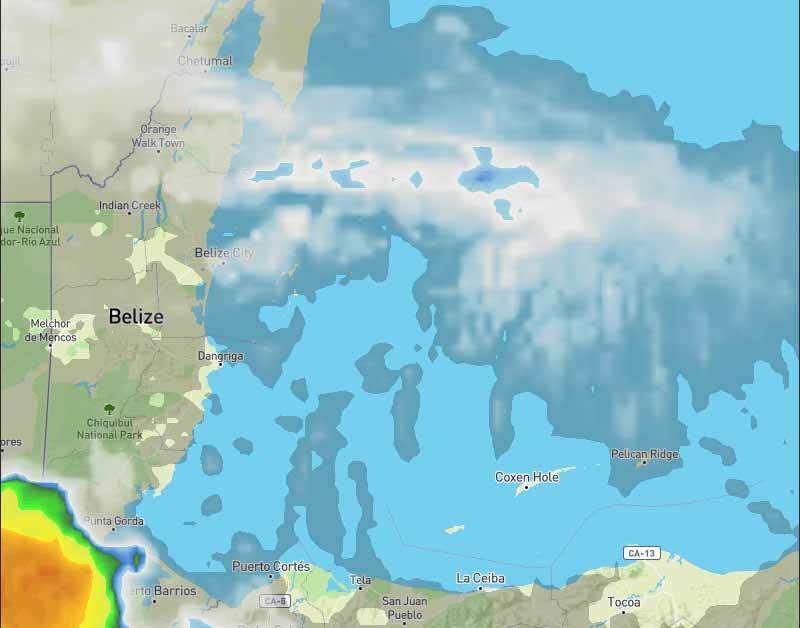 Today's expected high is 88 f.
You can't see it in this picture, but there is chunky Caribbean clouds coming in from the east, causing a few odd small showers in parts of central Belize. The westerly high level winds are very slow. 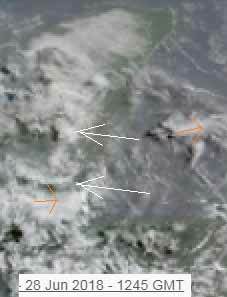 It appears there is now a blanket of Sahara dust over the Caribbean and Belize, causing a hazy sun. This could be with us for several days, as a continuous area of dust all the way across the Atlantic at present. Looks like today will be a mixture of hazy sunshine, and white clouds building, with a small chance of the odd rain shower.